When a party employs a solicitor to represent them in a court proceeding, the solicitor will charge their clients a service fee and other expenses. Other expenses may include court fees or fees for conducting an investigation into the case. These fees are known as legal costs. 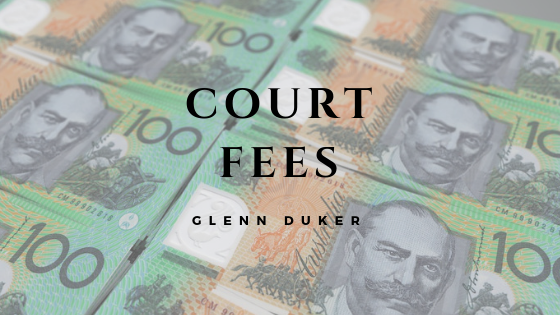 In the Federal Court of Australia, they have court fees that are payable in a proceeding. Fees for filing, setting down, hearing, mediation, taxation of bills of costs and other services set out in the Regulations can increase periodically. Even though there are guidelines around the fees you pay for legal representation, you still have rights when it comes to your legal costs. When using a practicing solicitor and you receive bills from the law practice, you have the following rights. You have the right to negotiate a cost agreement. Don’t think you have to accept when you receive the costs. You can decline to sign the costs agreement and consider it before signing. You may take the agreement from the law office and have a reasonable time period to do so. Sometimes getting other legal advice on the agreement can be helpful if you do not understand the costs. You may ask for amendments to the proposed agreement and if the solicitor refuses to agree, you have the right to decline to sign and look for new legal counsel. You have the right to receive a bill of costs. If the solicitor has not provided you with a bill of costs, they are not entitled to the payment of the fees. You may request an itemised bill of costs for no charge. This will list out the performance of the lawyer and the amount of charge of the tasks they did. The solicitor must provide you with an itemised bill of costs upon your request. You have a right to challenge the amount charged of legal costs. You can arrange a meeting with your solicitor to discuss your concerns. You can make a complaint to the Legal Service Commissioner if your costs agreement is non-compliant, you may apply to have the costs agreement set aside by the Supreme Court. The Supreme Court will then calculate your costs using the scale of costs. Lastly, you can make a complaint to the Legal Profession Conduct Commission if you believe there has been overcharging. The Commissioner will investigate your complaint.